Prominent & Leading Exporter from Chennai, we offer air cooled heat exchangers and industrial air heat exchangers. 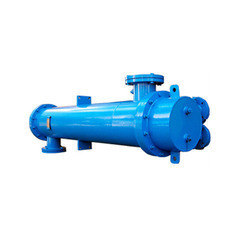 We have emerged as a prominent Manufacturer, Supplier, and Exporter of a wide range of Air Cooled Heat Exchangers Chennai, India. 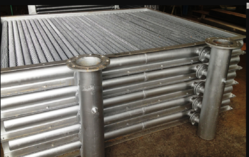 These air cooled heat exchangers are extensively utilized in different power plants, chemical plants, petrochemical plants, petroleum refineries and natural gas processing. Besides, this range is highly admired in the market for its below-cited set of attributes: Uninterrupted performance Highly durable Maximum efficiency Corrosion resistant. We are leading Manufacturer, supplier, and exporter of wide range of air heat exchangers in Chennai, India. That is light in weight. Our developed air heat exchangers are easy to handle and save fuel that results in the reduction in a number of tubes for given B.T.U., transfer per area. Also, these air heat exchangers are that these require less power to deliver the required C.F.M because of lower air resistance. These are usually used in rice mills, tea factories, chemical & pharmaceutical industries. Looking for Air Heat Exchangers ?